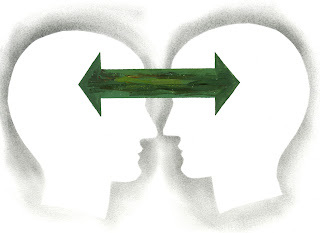 For some time now negotiation researchers have been telling us we can get ahead by using tactical emotional expressions to manipulate the other party. Show anger to make them worry about threats, or disappointment to nudge them into feeling guilty, and you can increase the chances of getting what you want. But new research in the Journal of Applied Psychology suggests that while these techniques may yield immediate advantage, strategically they can lead to disaster. Rachel Campagna and her colleagues began by asking participants they’d recruited through Amazon’s Mechanical Turk website to imagine they were considering taking on a freelance task, and that they had to use online messages with the prospective employer to reach a settlement on how much they’d be paid, up to a maximum of $50. The employer messages were scripted with either a neutral, positive or angry tone to them; for instance in the angry script, one of the messages that was given in response to any offer from the participants was “this is really getting on my nerves”. Enduring these angry messages led participants to become angry in response, and to feel less trusting towards the employer – no surprise, as the angry script gave little indication that the employer had the participants’ best interests at heart. At the end of the negotiation, most of the 140 participants took the final offer of $25, regardless of the tone of the conversation. But then the participants received a second counter offer from a different employer – $25 for completing the same type of task for them. Now the emotional treatment mattered: of the participants who received angry messages, over half took the new offer, reneging on the first, whereas only 17 per cent of those in the other conditions did so. The reason for bailing on the first employer was trust – the less the participants said they trusted that employer, the more likely they were to switch. In further experiments, the researchers asked participants to take on both sides of a negotiation. One hundred and eighty-six undergraduates spent half an hour negotiating working conditions in pairs, with one person acting as employer and the other as a job candidate. Participants in the employer role were offered cash rewards for negotiating "in line with the firm’s policies", which meant either a neutral, happy or angry fashion depending on the experimental condition they were in. Although all participants reached an agreement, in the angry condition only, relationships grew frayed: not only did the candidates wind up angry and distrustful (replicating the results of the first experiment), but so did the employers – they ended up living out the emotion that they'd begun by faking. And that frayed relationship cost the employer, who stood to benefit in a surprise follow-up task that came straight after the negotiation, in which candidates had a choice about how much money to invest in the employer (the idea of this part of the experiment was to test out post-negotiation cooperation between the parties). Candidates who had experienced anger in the initial negotiation felt the potential benefit of investing wasn’t worth the risk, and sent less or no money through. Once again, faking anger didn’t appear to harm the immediate task (reaching a deal on working conditions) but it did have wider, longer-term ramifications. A final study tested the persistence of this “blowback effect”, with previously angered candidates still less willing to invest in a project one day after the negotiation itself. One concern I have is that the study set out to show that immediate tactical benefits (browbeating a partner to accept the desired offer) were offset by later strategic disasters. But actually these experiments didn’t show any immediate benefits of feigning emotions, contra previous studies. Without reproducing these tactical advantages and then showing a strategic drawback, the possibility remains that these studies involved maladaptive feigned anger. Perhaps when emotions are feigned more successfully in the first place, they don’t come with a later blowback. Nevertheless, the longer-term negative effects uncovered in this research are important and need to be taken seriously. Negotiation research that acts as if the deal exists in a vacuum ignores the larger part of reality: the under-engaged worker who takes the job but works to rule, never expending discretionary effort; or the Craigslist car seller who gives in to the aggressive bargaining but then drags their feet over sending you the vehicle documentation. Very often, the deal is just one moment in a longer relationship, and handling this through manipulation is a road to ruin.